This is one of the first dishes I perfected when I came in the U.S.A. Being used to having someone cooked for you in the Philippines gives me the hardest time to cook for myself and for my family when I started one. Because, I missed all the Filipino Foods, I managed to make sure I read and follow recipes in order to eat one with a great taste. The first couple of tries were not as successful as the third one. This time I mastered recipe and I make everyone even happier. This is called Chicken Curry. At this time, I managed to make it even more spice than the common curry I made. I am loving it, and I am happy that I can now cook any food I want as long as there is a recipe that would help me. Yay well done and it looks gorgeous as well, what's next on your recipe agenda ? 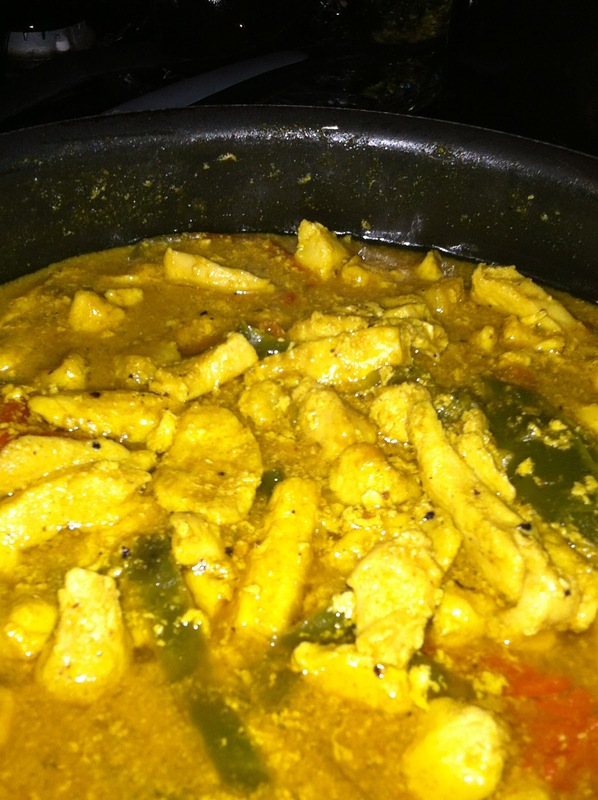 Your Chicken Curry looks wonderful. I am going to have to try this I love spicy food. Please come and cook for me! This looks so yummy! You should share some of your recipes, I bet you have a lot of great one with our back ground. I am not fond of foods with curry but my husband does, he would probably like that!